Stop hating your ATS. It just isn’t very productive. It feels like pretty much everyone hates their ATS. I am sure it isn’t true. I am sure that there are resourcing teams out there who love theirs – have it set up exactly as they need it, doing everything that they want it to do and it generating reports that simply dazzle their managers. We just so rarely hear about it. And changing it never seems to be an option, as over the years their ATS has become so embedded in their recruitment process that the prospect of unpicking it feels like an unrewarding and daunting exercise. So they grow to hate it a little bit more. But if you hate it that much, leave it! Start over again. At least next time you’ll know what not to do. I am often asked by in-house recruitment teams to recommend if there is an ATS that they should use. And the answer is always the same (and wholly no-committal) that they should choose the one that best suits their needs. There are so many options out there – old behemoths, more agile software as a solution options, and a raft of new start-ups. I won’t mention any names, but we all know who they are. So while I rarely offer an opinion on the actual ATS a client should choose, I am happy to offer some guidance on how they should approach it and what to look for in a prospective ATS partner. 1. Get your IT department involved. Even though chances are you’ll be buying a cloud-based system, the purchase of any new technology is likely to require IT sign off. So rather than delivering them a fait accompli and then asking them to carry out due diligence, get them involved at the start of the process and include their requirements in your wish list. They will instantly want to choose Taleo because it’s backed by Oracle – and nobody has ever been sacked for buying Oracle. But by including them they will quickly see that the majority of the ATS suppliers will offer no security risk to your company, they’ll be on-board and you can move quickly forward. 2. Find the right partner. You’ll have your wish list, seen some demos and spoken to many, many sales people. On the face of it most ATS partners will be able to fulfil your needs. So the question becomes more about which organisation do you feel will offer you the best support. And often it does come down to gut feel. Ask about their background (are they technologists or recruiters), ask how the implementation will be managed, what experience they have in your sector and whether you can talk to some of their existing clients. But most of all ask to meet the team who’ll be working on your account. After all, you’re going to spending a lot of time with them. You’ll need to get along. 3. Check the contract in detail. Too many times I have heard from clients who think they have got themselves a bargain only to find out that in fact key pieces of functionality haven’t been included in the price. It’s painful but it is true. Also, drill down into how are they charging for access – is it based on number of employees, users or jobs? And what are the cost implications should the company undergo a period of massive growth? It could be cheap to have two users, but really expensive to have 20. Also check the length of any contract you enter into. 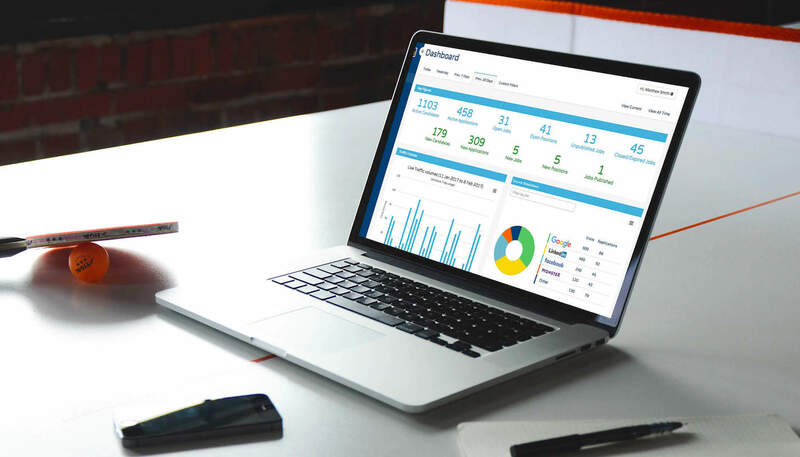 Applicant tracking systems should be no different then any other piece of software, you need to have the freedom to switch should you want to. Switching carries with it its own pain, but it’s better then wanting to change but not being able to because you’re locked into a multi-year contract. Remember, ask lots of questions. 4. Use this as an excuse to refine your recruitment process. The tendency would be to just build the ATS around your current recruitment process, but is that the right thing to do? Your chosen ATS partner is likely to work with a wide range of recruiters, so is there anything that you could learn from them? Also, ATSs tend to be designed and developed around a ‘typical’ recruitment process in mind, meeting the needs of the many and not the recruitment quirks of the few. Take advantage of this best practice advice and iron out any kinks in your recruitment process in the name of efficiency. 5. Remember it doesn’t all have to talk to each other all the time. I have seen too many recruiters fall out of love with their ATS purely because of its limitations. One typical reason is that they’ve bought the ATS bolt-on to their current HR system. Why? Often because it feeds directly into their HR system. But why do you need it to? For the few occasions that you need to transfer data from one system to another? Most ATSs will support a secure data transfer into an HR system. So, don’t compromise. Buy the best ATS you can afford and just negotiate automatic data transfers as part of the package. 6. What about after the ATS has launched? This is likely to be a long-term relationship. After the thrill of the launch and roll out there will be the reality of living with each other. That’s when you’ll start seeing the little flaws in your partner. And you’ll want to address them. Quickly. So find out at pitch stage what the post-launch support looks like. Is it an account manager on the end of the phone, or is it a ticketing system? Is the technical development team close at hand, or are they working in another time zone? Are fixes and updates deployed regularly, or do you have to wait weeks until they go live? Makes sure the relationship works for you. The long and the short of it is … ask lots of questions. Get your wish list together, use it as a way of identifying a long list of suppliers and ask some of the questions above to get this list down to just a handful. Then ask them to pitch to you, a key member of the resourcing team, a line manager and a representative from the IT team. And if you’d like me to help just let me know. Together we could find you an ATS that you like, maybe even love, but certainly don’t hate.